This Monopoly collector’s edition is Five Star! That’s the verdict of real Amazon customers, who unanimously gave this game the maximum marks. For Hello Kitty fans, this is the ONLY Monopoly edition to have! You can see more Monopoly editions here. 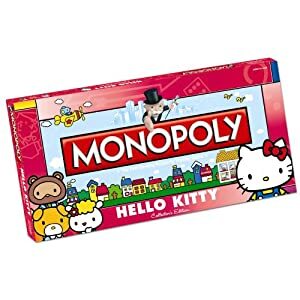 If you own Hello Kitty Monopoly, please rate it by clicking on the Comments link below the eBay listings.